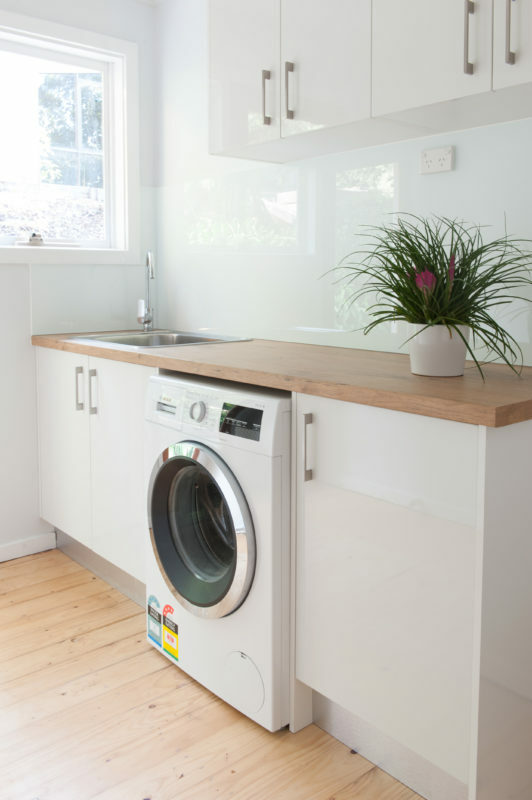 Did you know Kitchen Shack also designs small, medium and large laundries for homes all around Melbourne? This laundry is a perfect example of a combined laundry with loads of extra storage cupboards – one can never have too much storage! The laundry in any home is one that should feature high performance and quality products. When it comes to DIY renovations, we believe in making the process easier by completing the kitchen and laundry at the same time. With our laundry installation service, our customers have the convenience of getting everything they need for both rooms at the one place. Here at Kitchen Shack, we specialise in laundries that provide years of quality and style. 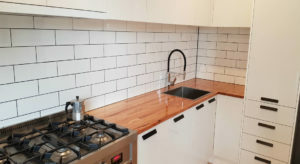 With every home having different requirements, we made sure our collection offers an extensive range of benchtops, fixtures and fittings to suit any customer’s needs. By working with us for your laundry installation and kitchen design, we are confident your home will have a stylish finish that matches your existing decor. We believe in low prices but high quality that suits your budget and doesn’t break your bank. With our laundry installation service, we offer customers the very best products at an affordable prices. It is simple to measure your space and sketch a basic layout on how you would like to configure your laundry and then make an appointment in the showroom for a professional staff member to finalise your style. The showroom designer is qualified to design for such a wet space where lots of moisture is a key. 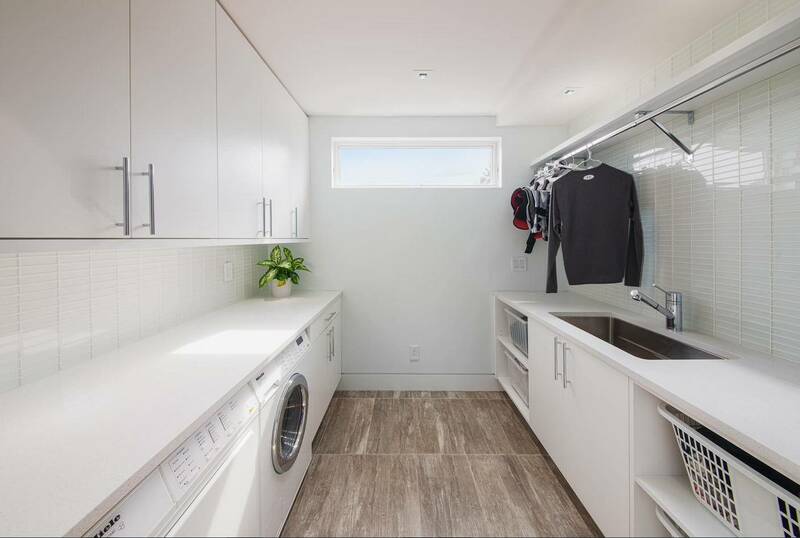 They will listen to your needs to design a laundry where there’s not only lots of storage but also a space for folding clothes or putting washing baskets. All our cabinets can be designed to suit any laundry space but think about where you would like the following positioned. possibly a hanging rail for wet clothes to dry. Most importantly, fix a budget so the Kitchen Shack designer can work within your parameters and most importantly stick to your budget, that’s what we’re all about. At Kitchen Shack, we are customer focussed to provide a complete design and pricing service to each of our customers. When it comes to inquiring about a quote for your laundry installation, our team of experts are here to help. With our ability to finish your laundry and kitchen space, we are confident our customers will experience a stress – free renovation. Our team of professionals have been providing the people of Melbourne with high-quality laundries for many years. With their combined expertise and informative advice, our team is the ideal choice for guidance when completing your laundry installation. No matter the size, shape or style you want, we guarantee everyone can achieve their dream with our laundry installations. To find out more about how we can help you, please get in touch with us. Whether it be over the phone, completing a form or a visit to our showroom, we are here to offer answers to any questions you may be have about our laundry installations. With our website featuring all our contact details, and showroom locations, we have made it easy for customers to connect with us.